Your source for printing, direct marketing, and mailing services in Austin, Texas. We specialize in offset printing, digital printing, direct mail, and are eager to help you with your project every step of the way. 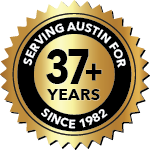 We're proud to have served the Austin area for over three decades. We will make your printing project easy, impactful, and done on time and budget. We help you achieve results, whether it be a campaign mailing or swag items for your next tradeshow. Thomas Graphics Inc. can print in one-, two-, three-, and full-color on a variety of paper sizes and stocks, including cardstock and all sizes of envelopes. We can print business cards, letterhead, brochures, and any other offset printing you may need. Let us help you not only print a great direct mail piece, but also get it to your intended audience fast and efficiently through our mailing services. Thomas Graphics Inc. prints swag marketing items and promotional pieces to keep your brand on the minds of your prospects. Why should you choose TG?